Do you want to lead a healthy lifestyle but not really sure where or how to start? Start with Breville Ikon Juice Fountain! Breville is one of the most popular brands in selling high-quality household items. As one of the leading brands in the world, it offers you only the best juicer that is meant to ease your life; because Breville understands how busy one’s lifestyle can be. More Nutrients For Your Body! Start your day with a glass of fresh apple or orange juice made instantly from Breville Juice Fountain JE95. No need to peel, no need to extract the seeds first, just put in 1 whole fruit and the juicer will take care of the rest. Once finished, only pure and delicious juice is ready to quench your morning thirst. With this power-packed 5-speed juicer, you could get 30% more juice and 40% more nutrient! 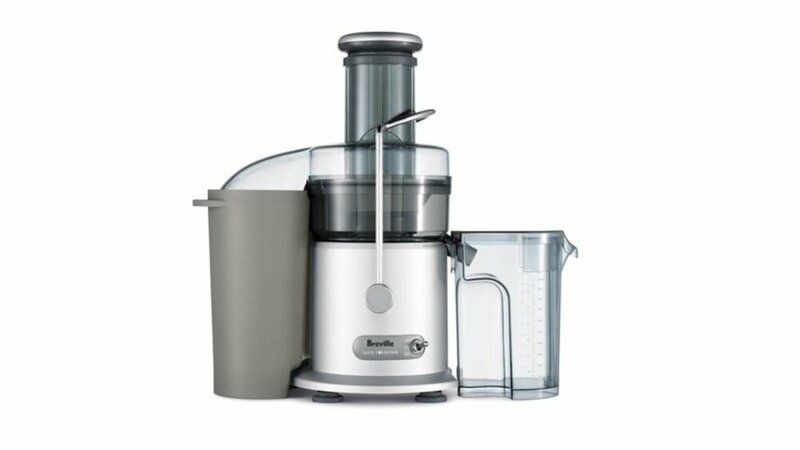 Breville Juice Fountain JE95 features a circular feed tube (3-inch wide) to accommodate whole fruits with centered dual knife blade, a stabilizing knife, an extra-large pulp container and a stainless steel cutting disk, all are surrounded by an Italian micro-mesh filter. It also has a jug with froth separator that has a detachable spout for juices to go straight into the glass. Safety is one of the things that Breville prioritizes; therefore this juicer has a safety lock mechanism to prevent unwanted/unsafe operation. Its LCD display would show speed settings and fruit icons for your convenience.